For over a century, the Hippodrome Theatre has stood as a downtown home for ever-changing forms of entertainment. The venue emerged in the early twentieth century through advocates for a downtown theater banding together. A group of local businessmen, organized by Thomas Finnegan, hired architects to design a structure dedicated to live performances and cinema. In 1913, ground broke on what became an iconic piece of the city’s architecture, designed by Waco’s own Roy E. Lane and Dallas architects Otto Land and Frank Witchell. 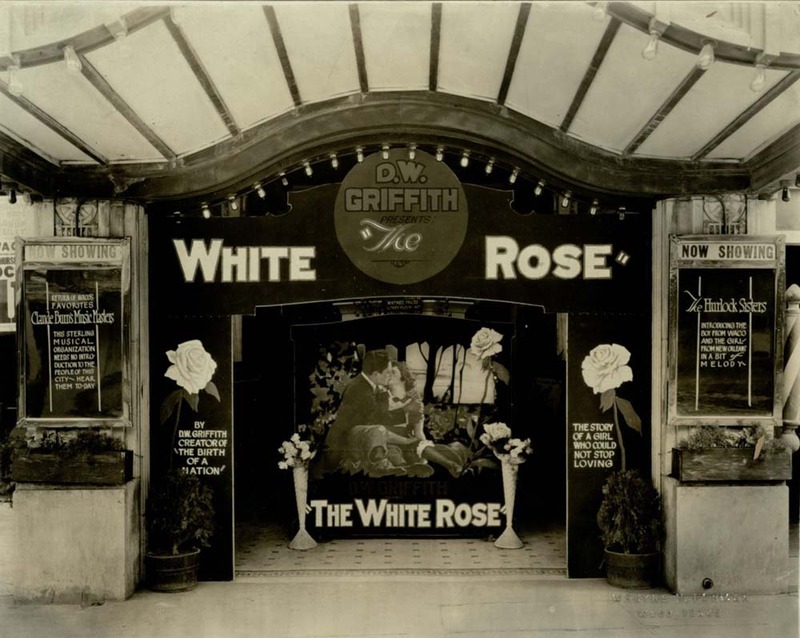 On February 7, 1914, Wacoans gathered at 724 Austin Avenue and paid ten cents a ticket to view the grand opening of the Hippodrome Theatre, featuring a live seal act, magic show, and five-piece orchestra. 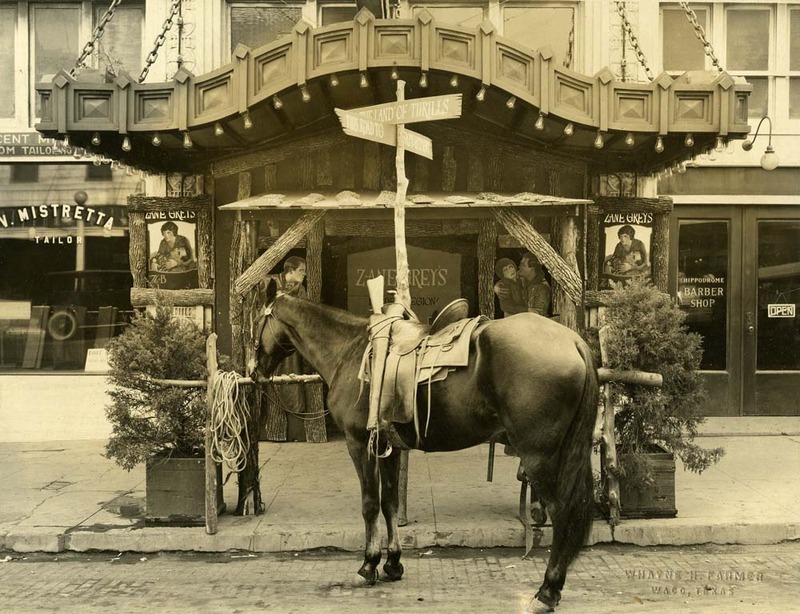 For many years, the Hippodrome served as a hub of downtown entertainment. Locals came to know the theater managed by J. P. Harrison and well-known theater entrepreneur Earl Henry Hulsey as “Hulsey’s Hipp.” Vaudeville troupes and silent films filled the theater’s early bills. 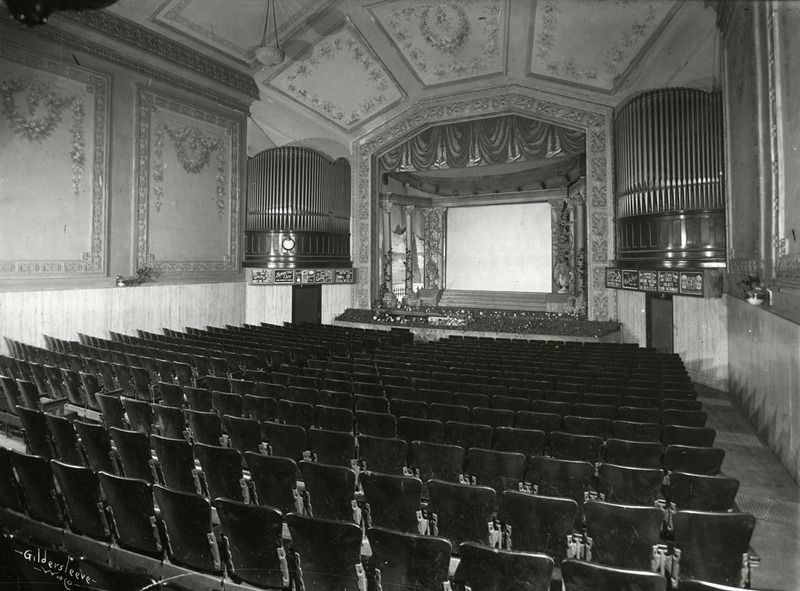 As the popularity of moving pictures steadily grew, the Hippodrome—an affiliate of Paramount Pictures—steadily began to replace live acts with silent films. A production booth fire in 1928 destroyed much of the forward portion of the building and brought about serious changes. Louis Dent of Southern Enterprises reopened the theater in 1929 with a new name and a new face. A redesigned Spanish Colonial Revival-style façade and cool air-conditioned air greeted moviegoers at the Waco Theatre. 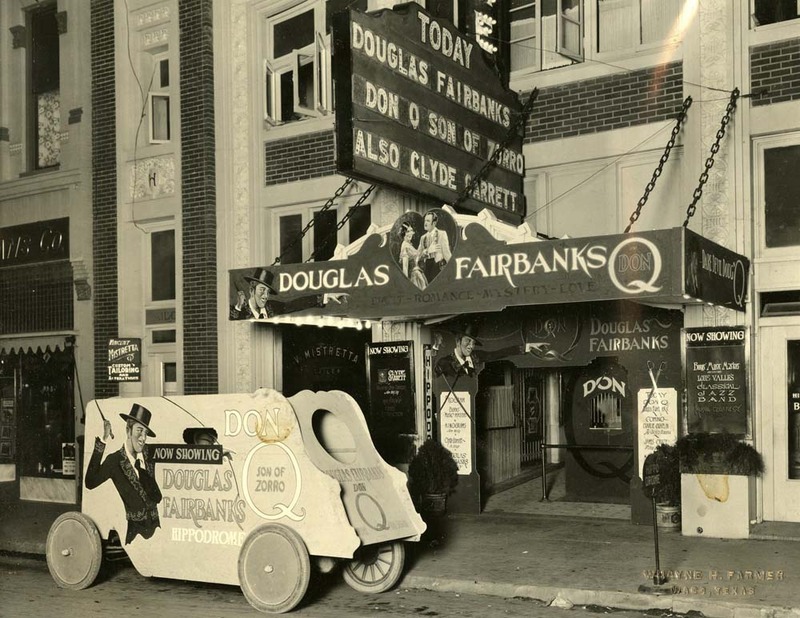 A few years later, new equipment allowed the theater to catch up with local rivals, such as the Orpheum Theatre on Sixth Street, which were already playing talkies. 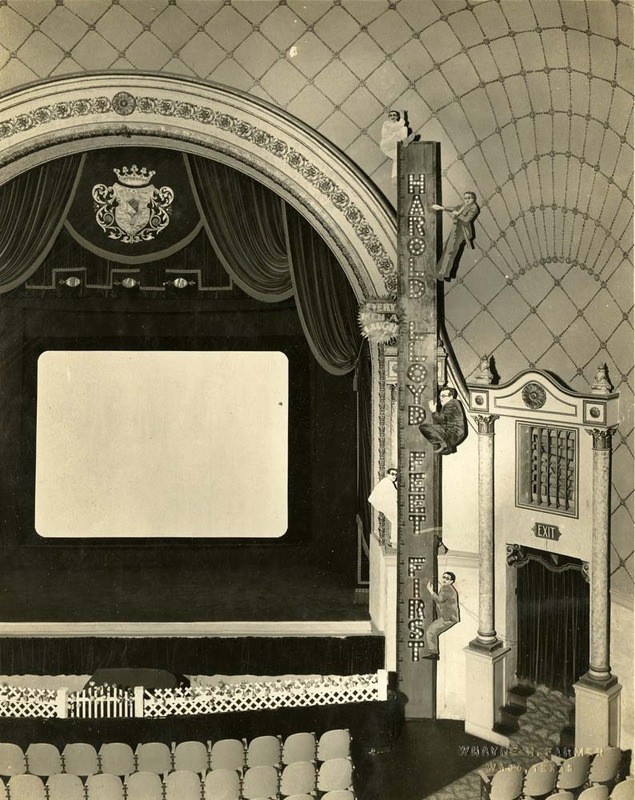 In 1931, the Waco Theatre played its first movie with sound. The Waco Theatre continued the Hippodrome’s tradition, serving as a prominent figure in the Texas entertainment industry. 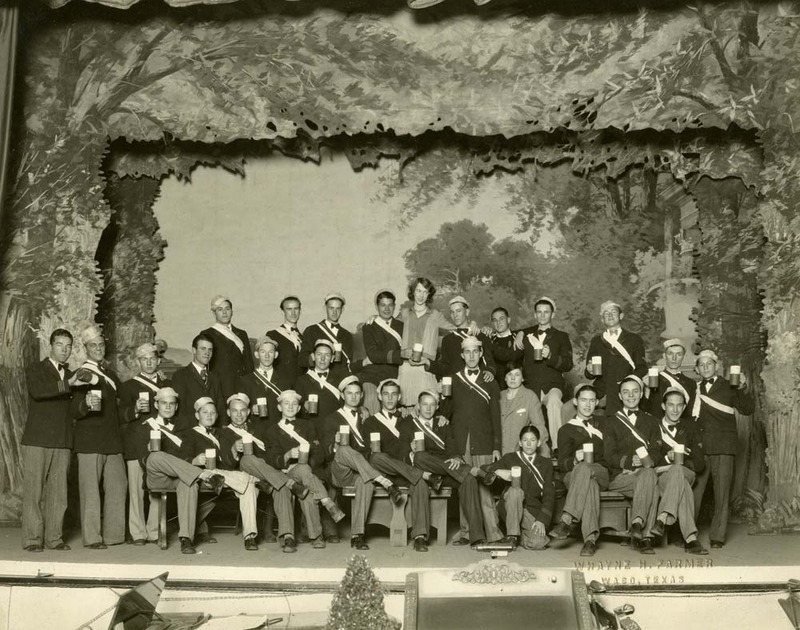 Visitors from small Texas towns filled downtown Waco on the weekends and caught a show at the Hippodrome in the evening. Big-name performers drew large crowds to the movie theater. Duke Ellington, Cab Calloway, and Fanny Brice each stopped at the theater in the 1930s, and Elvis Presley once caught a show at the Waco Theatre during his time stationed at Fort Hood. In 1936, new construction added a second story to the grand theater, and two more renovations followed in the 1950s and early 1970s. However, more challenges loomed ahead. By the mid-twentieth century, attention had shifted to suburban areas, and many businesses headed out of the city. Although the theater survived the 1953 tornado unscathed, much of downtown did not. The Twenty Fifth Street Theater began to draw away the downtown audience, and the construction of Twin Cinema in the 1960s brought more customers to the suburbs. The last movie played at the Waco Theatre on December 15, 1974. The building sat vacant for over six years. 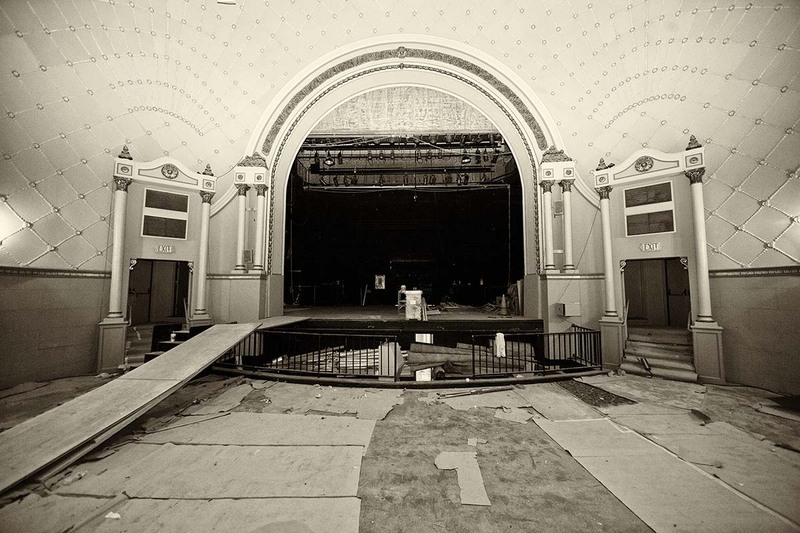 The Junior League, the Cooper Foundation, and local volunteers banded together in the 1980s to undertake a restoration project, leading to the reopening of the Waco Hippodrome Theatre on February 28, 1987. 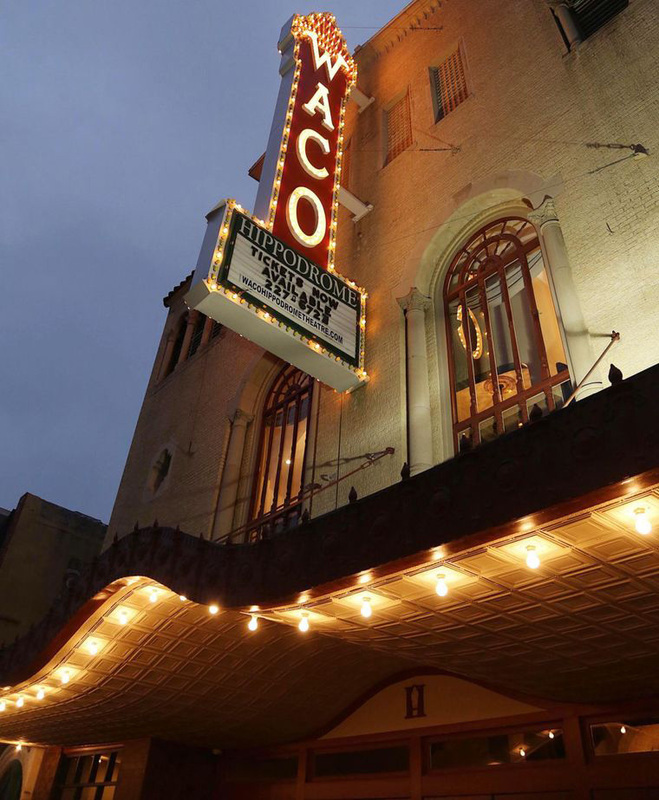 Listed on the National Register of Historic Places and operated by the Waco Performing Arts Company, the historic theater began to draw visitors back to Austin Avenue once again with live performances. However, the success was short-lived. The steady popularity of suburban theaters kept attendance low, and maintenance for the historic structure proved too costly for fundraisers to maintain. The theater closed again in 2010. Local developers Shane and Cody Turner purchased the property in 2012 with a vision for adapting the structure. While retaining the building’s historic look, the brothers added a wall to the second story to allow two films to be shown at once and renovated the second floor lobby into a bar. A modern addition on the Eighth Street side of the theater features a restaurant and concession stand. The Hippodrome reopened in November of 2014. The adaptive reuse of the historic structure—offering modern moviegoers a variety of entertainment options including a mix of first-release and classic films, live theater, and concerts—ensures that the Hippodrome will remain a centerpiece of Waco’s entertainment scene for years to come. 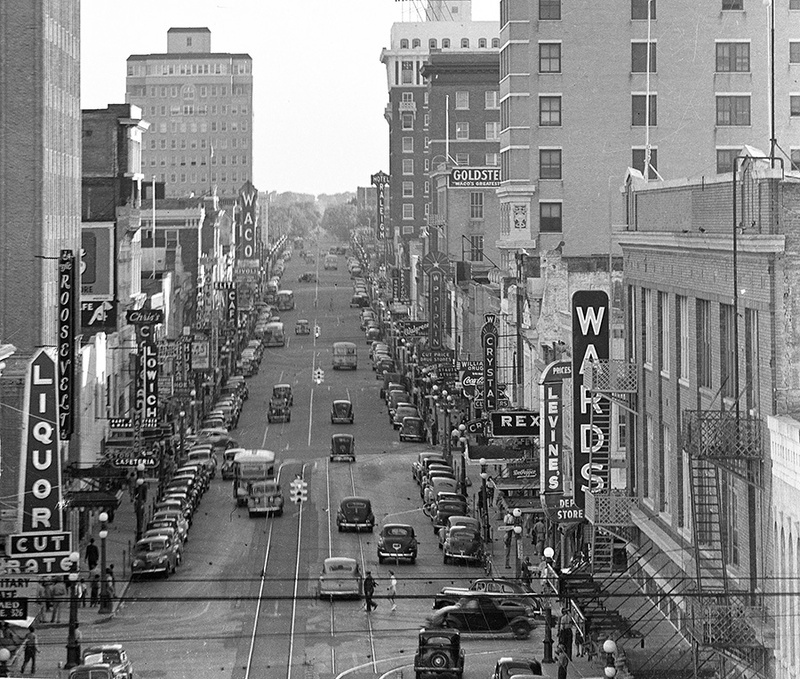 Austin Avenue (c. 1940): Austin Avenue served as Waco’s main thoroughfare for many years, and the Hippodrome stood as a central piece on the street. However, mid-twentieth-century changes, including the 1953 tornado and urban renewal projects, moved interest to the suburbs. 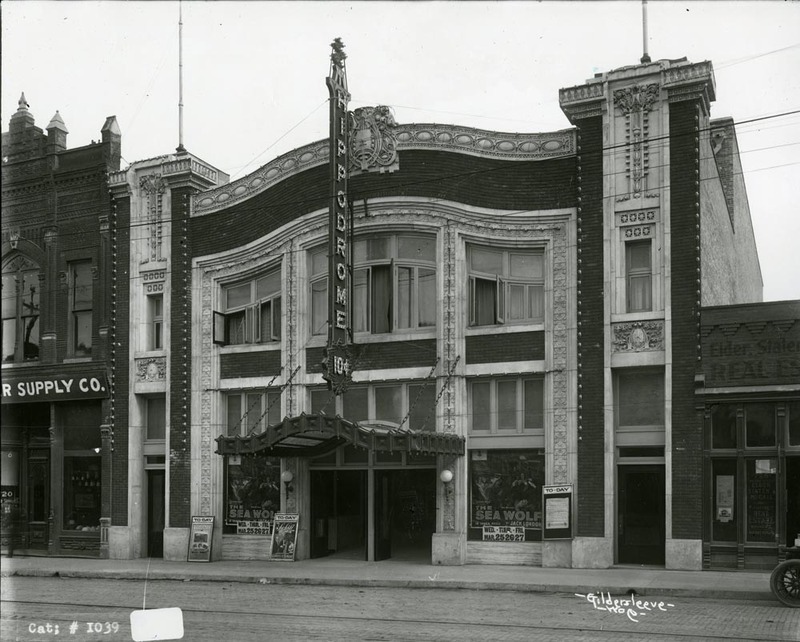 Amanda Sawyer, “Hippodrome Theatre,” Waco History, accessed April 26, 2019, https://wacohistory.org/items/show/54.